Last month, The New York Times and TIME magazine both ran articles that reported on new research for a diabetes drug called Actos (pioglitazone). According to the new research, men and women with elevated blood sugar levels who took Actos were less likely to develop diabetes than a placebo group. You can make the case that the reporters wrote balanced arguments. In fact, both reporters raised concerns about giving a diabetes drug to patients without full-blown diabetes. Plus, both reporters warned you about the drug’s very serious side effects. The new Actos research reflects Big Pharma’s new marketing strategy. Don’t just take our drugs to treat disease. Take them before you develop the disease too! Unfortunately, the national news media seems all too willing to take this strategy seriously. But, in my book, it’s all about boosting sales. Actos’s patent expired in January of this year. But Takeda Pharmaceuticals — the company that makes Actos — struck a deal to delay entry of generic versions of the drug until August 2012. So, this is the company’s last-ditch effort to boost sales over the next 12 months. Get men and women who don’t have diabetes to take a diabetes drug. What a novel idea! Is it any surprise, then, that Takeda Pharmaceuticals partially funded this bogus study? Yep. Who didn’t see that coming from a mile away? U.S. researchers gave Actos to 602 men and women with pre-diabetes for two years. (To be clear, these folks did not have full-blown diabetes, just elevated blood sugar levels.) During that time, 7.6 percent of the volunteers who took a placebo developed diabetes. By comparison, only 2.1 percent of volunteers who took Actos developed diabetes. According to TIME and The NYT, this means volunteers who took Actos reduced their risk of developing diabetes by 72 percent. Well, not so fast Dr. Ralph A. DeFronzo. Let’s look at the results from your study using the raw data. Of the 602 men and women who started the study, 10 patients who took Actos developed diabetes. On the other hand, 45 patients who took the placebo developed diabetes. So…we’re talking about a total difference of 35 people! Just 35 people. Talk about ignoring the big fat elephant in the room. Did the reporters omit this information because it lessens the argument? I can’t be sure but what I do know is that the mainstream press needs to take a long hard look at the study data. There are 300 million pre-diabetics living in the U.S. alone. Should we really even consider giving this drug to any of them based on the results that 35 fewer people developed diabetes? In my opinion: No. I don’t care how much The NYT and TIME warned their readers about weight gain and fluid retention. When you leave out a key piece of information like that, you’ve really dropped the ball. It belongs to the same class of drugs as Avandia. As you’ll recall, the FDA greatly restricts the use of Avandia because it may increase your heart attack risk. So, how about Actos? Could it increase heart attack risk too? In fact, a 2010 study found that Actos caused as many heart problems as Avandia. Plus, the FDA is investigating a link between Actos and bladder cancer. I suspect they will find the longer you take Actos, the greater your risk. First off, there’s diet and exercise. As I mentioned earlier, this can cut your diabetes risk by 58 percent. Plus, a new study found that magnesium might help too. For this study, researchers divided 52 men and women with diabetes into two groups. One group got 365 mg of magnesium per day for six months. The other group got a placebo. Overall, the magnesium group improved in two out of three tests for insulin sensitivity. Plus, their blood sugar levels after fasting improved by about seven percent. Though this study is small in scope, researchers point to large-scale meta-analysis that confirms their results. In that analysis, researchers found that men and women lowered their diabetes risk by 15 percent with each 100 mg of magnesium taken. So, just think…taking 300 mg magnesium each day could lower your risk by 45 percent. Not too shabby. If you want to learn more about how to lower your diabetes risk without drugs, go back and look at my post Safely Lower Blood Sugar Without Dangerous Drugs. In this report, you’ll find three important steps you can take to improve your blood sugar control. 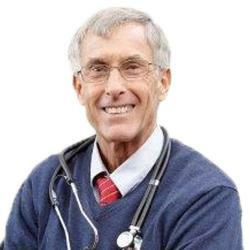 Dr. John Vincent at the University of Alabama shows that chromium picolinate reacts with antioxidants in the cells to produce in “reduced” form of chromium capable of causing mutations in DNA, our human genetic material. Chromium polynicotinate (or perhaps aspartate) forms are better.